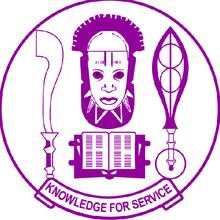 The University of Benin (UNIBEN) Joint Universities Preliminary Examinations Board (JUPEB)/Foundation Studies Supplementary Admission Form, Courses, Admission Requirements, Duration, Application Guidelines, Entrance Examination Date, Venue and Time for 2018/2019 Academic Session. Interested candidates are to purchase application forms online from the university web site http://www.uniben.edu.ng with valid VERVE VISA OR MASTERCARD ATM BANK CARD from any commercial bank in Nigeria for the non-refundable application fee of fifteen thousand naira (N15,000.00) The fee excludes bank charges. -The application form must be correctly filled with all information required before submitting online and thereafter printed out. -Click on the FOUNDATION PROGRAMME (JUPEB) APPLICATION 2018/2019 LINK. * All candidates are required to use valid e-mail addresses and telephone numbers. Application Start Date: 15th September, 2018. CLOSING DATE: Application Closes at Midnight on 20th September, 2018.